Science Discovery Dome offers students an educational, fun, and immersive experience. Nick, a qualified teacher and the owner of Science Discovery Dome, has been presenting Earth and Space Science Education Incursions for over eight years. He is an experienced educator, who is committed to ensuring all students come away feeling excited by science. Science Discovery Dome was established in 2016 to provide educational services to schools throughout Victoria, using the most advanced portable dome technology available. 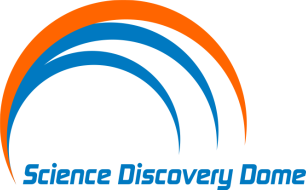 Science Discovery Dome is committed to service excellence for their clients. Book with Science Discovery Dome and see the difference in support and approach for your school. Science Discovery Dome has just completed purchase of Starlab Victoria, who have been operating in in Victoria since 1994. Nicholas Burbush, the owner of Science Discovery Dome, was employed by Starlab Victoria for over six years. All Starlab Victoria customers can be assured they will be receiving the same service, with some improved updates to the software and equipment.